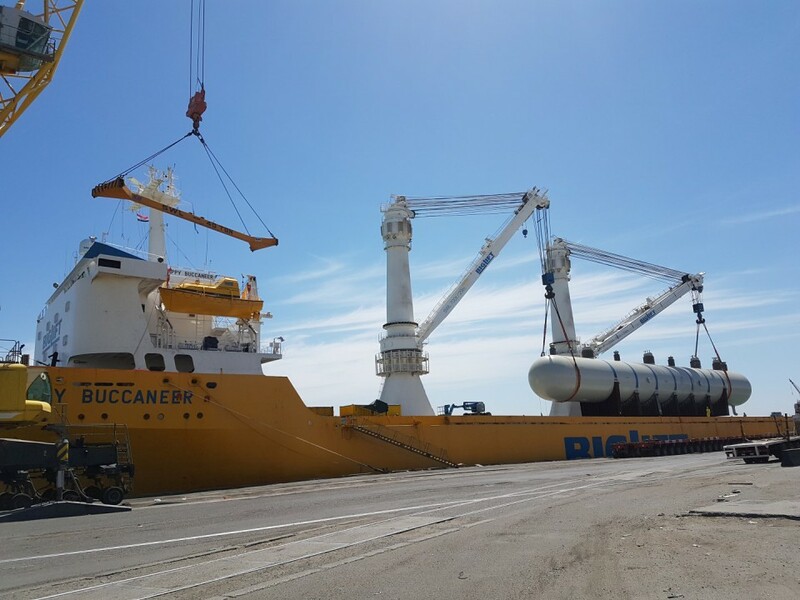 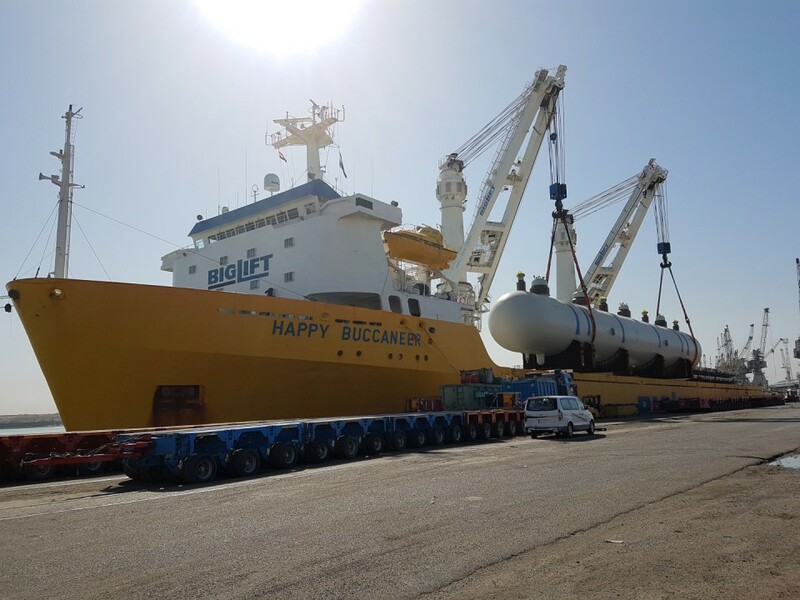 BigLift’s ‘Grand Old Lady’ mv Happy Buccaneer is still going strong. 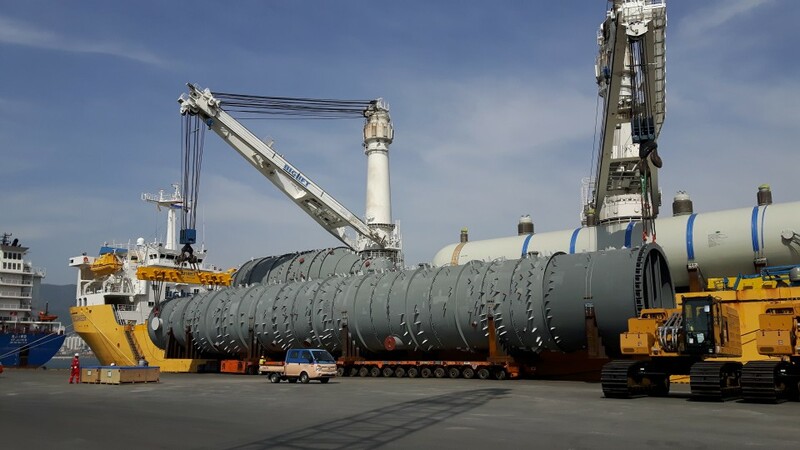 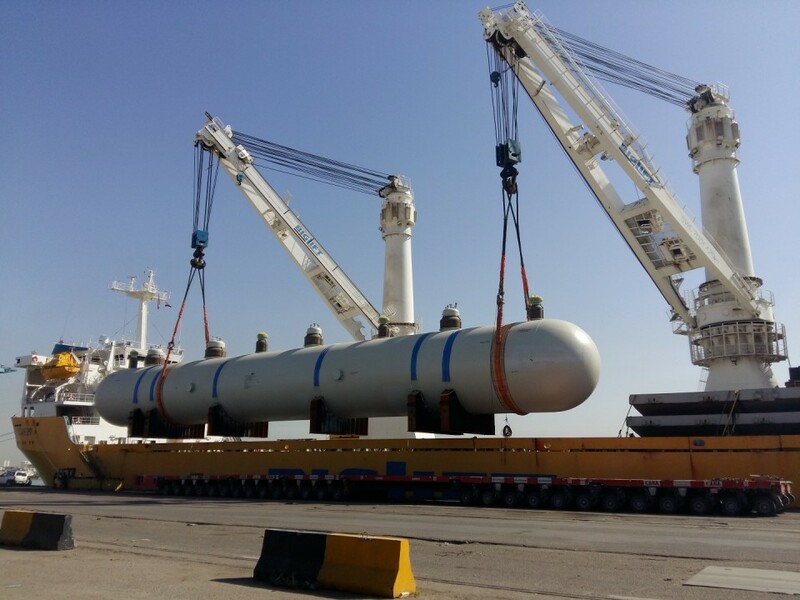 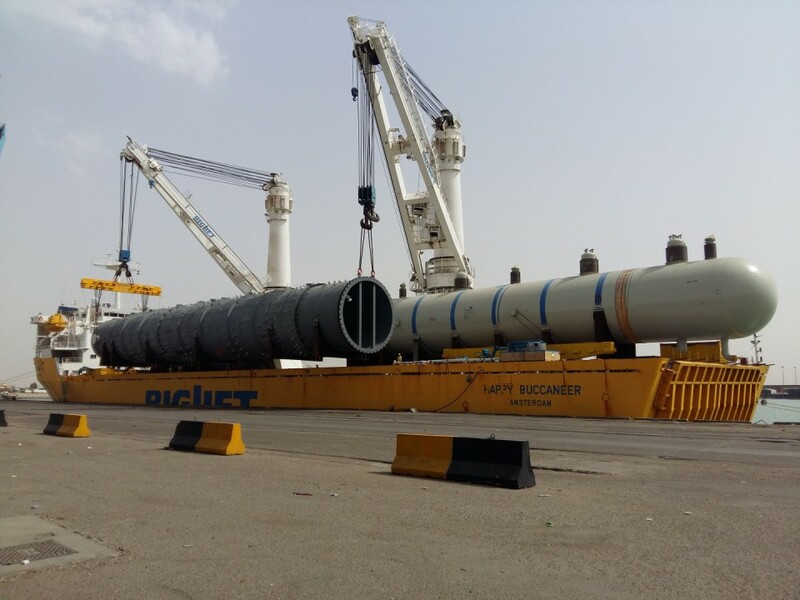 On May 11 2017, she discharged about 25,000 cbm petrochemical equipment in Umm Qasr (Iraq) for the Karbala Refinery Project. 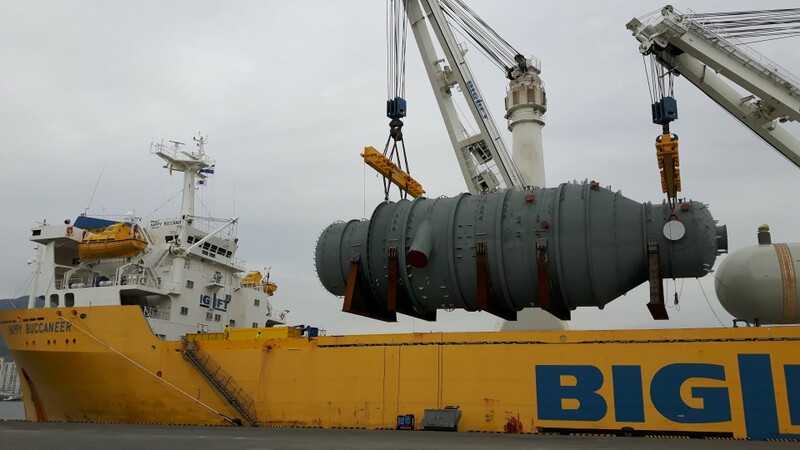 All equipment was loaded in Korea three weeks earlier. 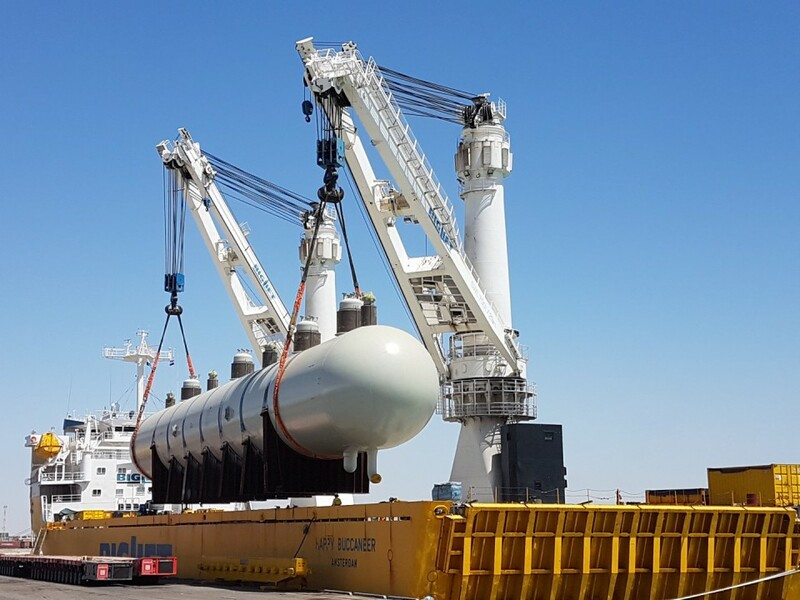 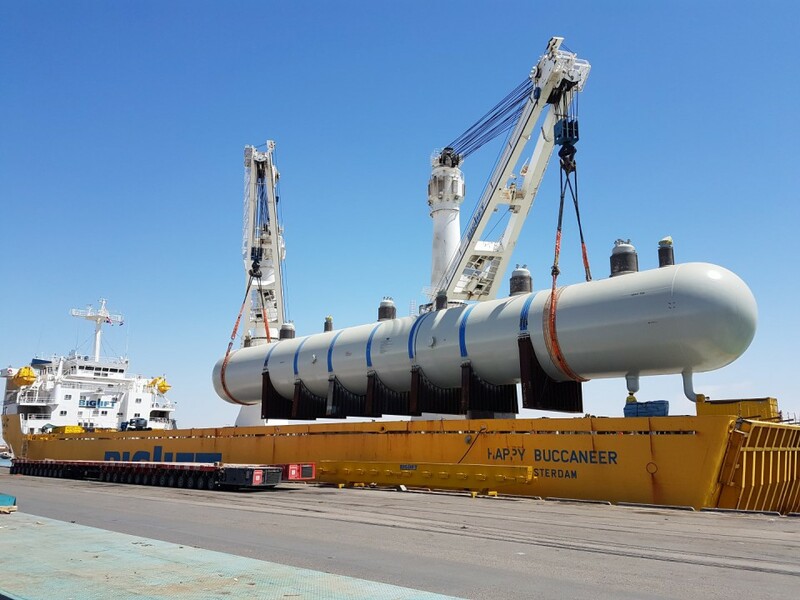 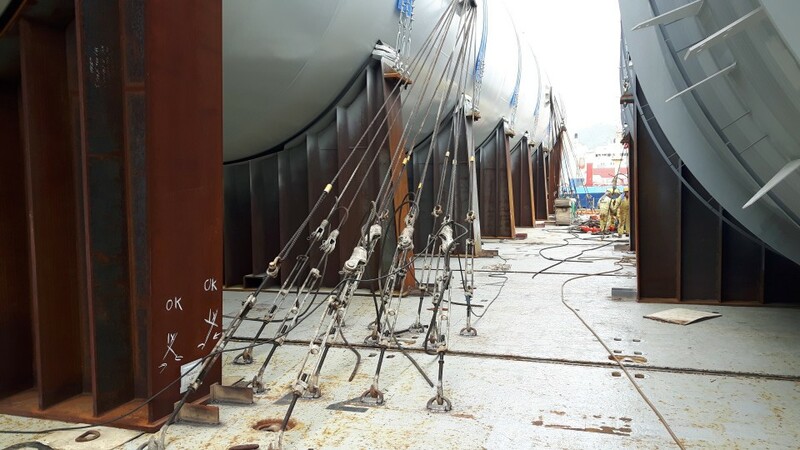 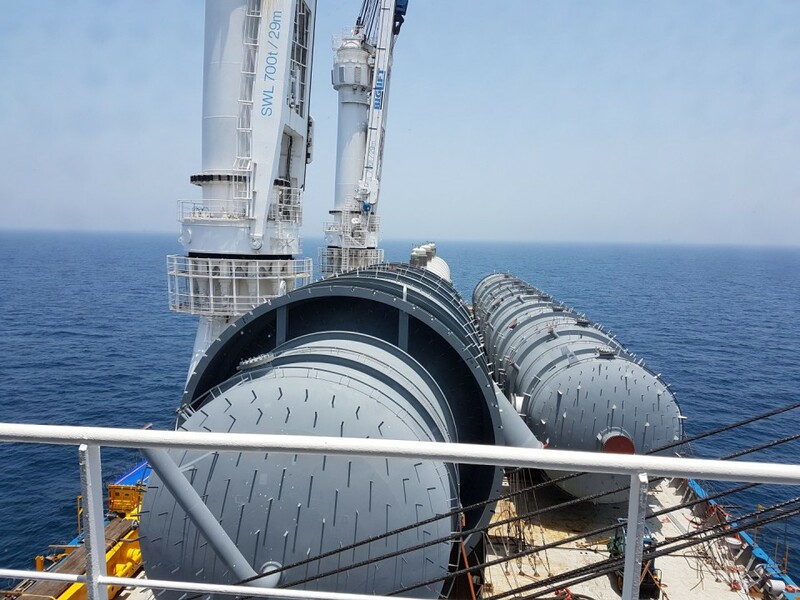 Despite long lengths up to 70 mtrs and units weights up to 700 metric tons, handling the cargo – consisting of gas bullet tanks, a vacuum column, an atmospheric tower and accompanying equipment – was still ‘a piece of cake’ for the lady with her two 700 tons cranes. 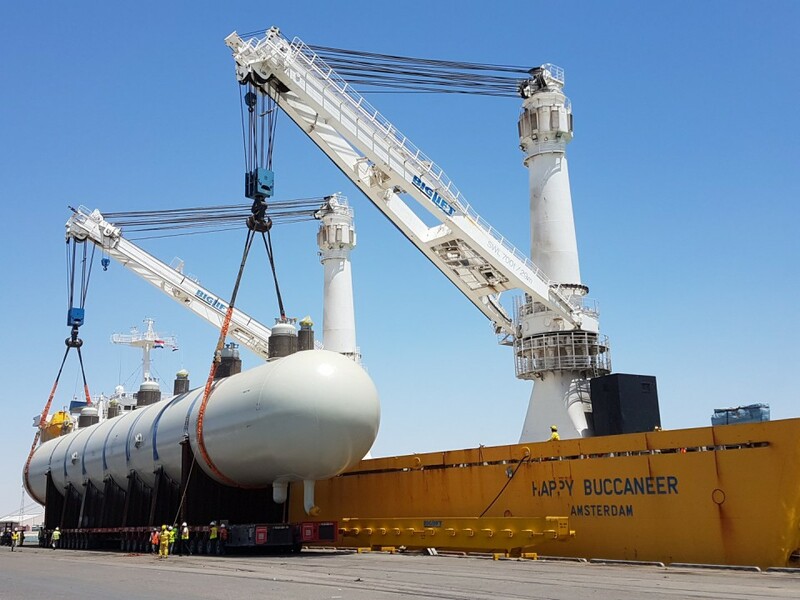 After discharge, Happy Buccaneer returned to China for loading the next full load to the USA Gulf.